a2tix | Tom Sharpe of Mannheim Steamroller! Tom Sharpe of Mannheim Steamroller! ​Tom Sharpe is the drummer for the Grammy Award winning group Mannheim Steamroller and an internationally recognized, critically acclaimed composer. Tom’s compositions have won many awards, including the John Lennon Songwriting Contest and the Broadjam World Music Contest. Tom’s original music is a percussive symphony - a sonic and visual feast for the senses. A classically trained musician, Tom has dramatically blended his orchestral background with world music instrumentation and cinematic imagery to create an experience that invites the listener into the heart of the musical moment - wildly emotional and technically precise, with a gutsy edge of percussive frenzy and tribal ritual. Weaving together powerful elements of sound and rhythm, Tom is equally proficient on a vast array of percussion and keyboard instruments. Seamlessly blending genres from Middle Eastern, African, orchestral, and rock music, Tom moves between traditional instrumentation and electronics with ease and precision. 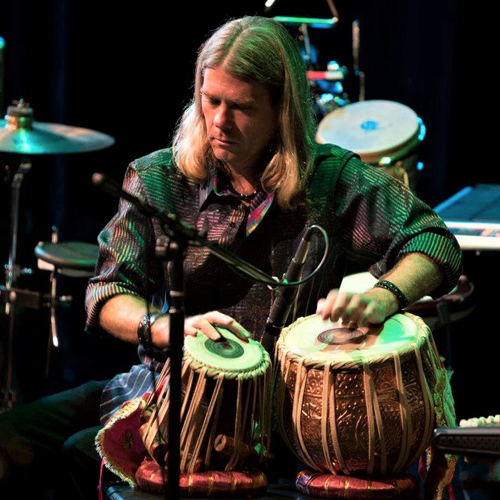 With a fresh approach to world music, Tom's high energy, passion, and emotion, combined with superb musicality, leave audiences amazed and inspired!